Please complete the Survey Again. First one was corrupted. The recent survey created a corruption in reports for completed ones. Please complete the survey again. The International Snowmobile Council is again requesting your assistance for collection of data about Charity activities of Clubs by States, Provinces and Territory for the year 2018. The ISC will use this information to inform the public about the amount of charitable activities Snowmobilers generated during the past year in addition to enjoying their sport. This survey is for use by all organizations whether you are a State, Province or Territory Clubs. Do not try to forward this survey to another organization. This Survey is only for your completion. 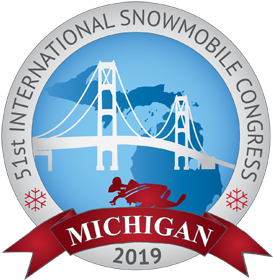 We ask that you complete the report by May 1, 2019 so that we have time to tabulate the information for the International Snowmobile Congress June 6 to 9, 2019. We appreciate your willingness to complete the survey. Should you have any questions or comments, please direct them to lenneisler@gmail.com. * 1. What State, Province, or Territory do you belong to? * 7. We would like to know that names of Charities and other organizations you donated money and hours to: Please explain your answers to questions 5, 6, 7, & 8. * 9. Would like a copy of the final ISC Charity Report?